We’re now in the post-post Cold War era, an interregnum marked my major geopolitical changes, uncertainty, and an unrestrained nuclear arms race. With partner organizations across the U.S., Europe and East Asia, we have assembled a remarkable group of analysts and movement leaders to deepen our understanding of the changing world and how we can best respond. 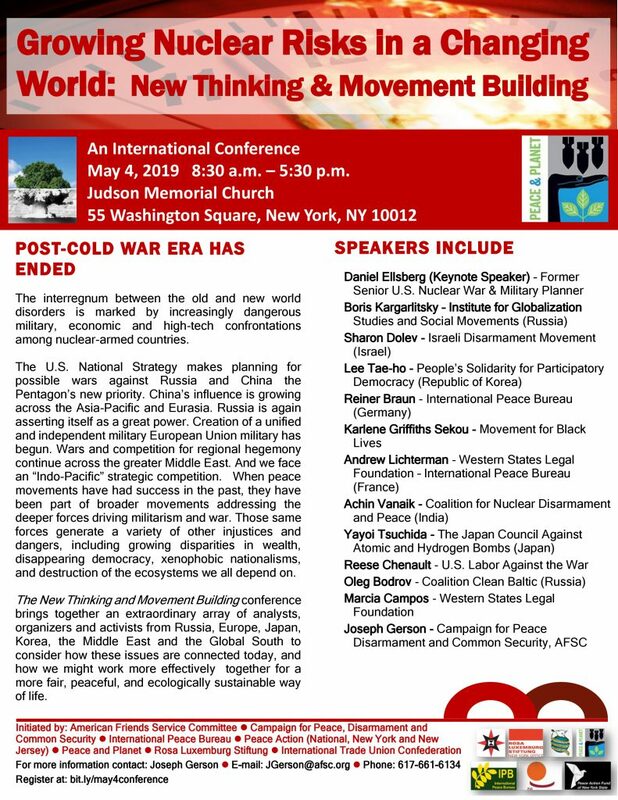 Speakers include Oleg Bodrov (Russia,) Reiner Braun (Germany,) Reese Chenault (USLAW) Arielle Denis (Francce,) Sharon Dolev (Israel,) Daniel Ellsberg, Boris Kargarlitsky (Russia,) Rev. Karlene Griffith Sekou (MBL,) Lee Taeho (South Korea,) Yayoi Tsuchida (Japan,) Aichn Vanaik (India), myself and others. 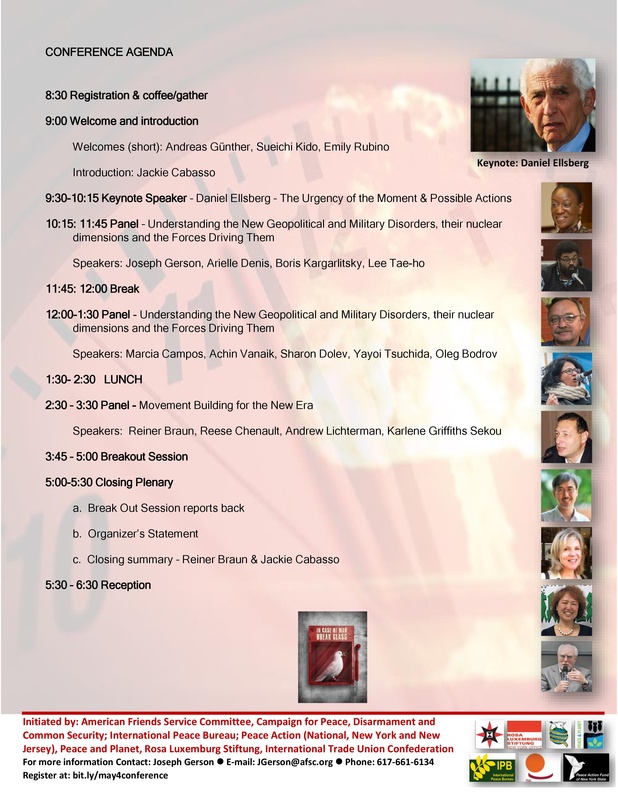 We’re expecting a full house, so register early if you want to join us. Info and registration at https://spark.adobe.com/page/bV2P4R2Eg42Yf/ and the attachments.